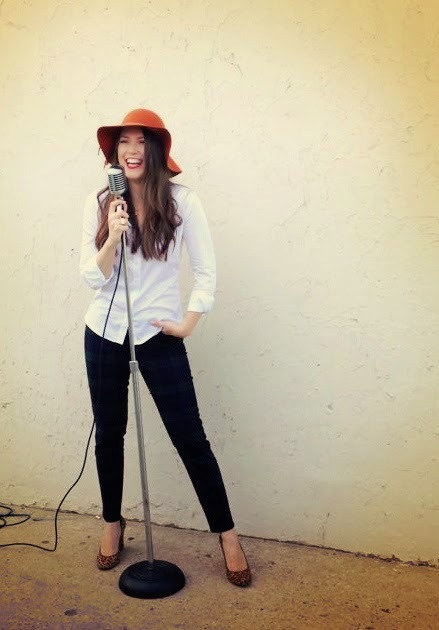 Chicago jazz vocalist Keri Johnsrud has been captivating local audiences for the last 15 years. She will likely gain many more fans with the release of her sophomore album, "This Side of Morning," her first all original album, with music written by Johnsrud and pianist Kevin Bales. Johnsrud will celebrate the release of the album by performing April 13 at The Green Mill, 4802 N. Broadway St., Chicago. The show starts at 9 p.m. and there is a $6 cover charge. I had the chance to talk to Johnsrud about the new album. Q - Great talking to you. In sitting down to make "This Side of Morning," what were your goals and do you think you accomplished them? Actually, the original goal was just to have fun and write music that felt organic and true. Only when we (Kevin Bales and I) realized that we had written enough tunes for an album, did the idea of recording them as a unit come into play. We didn't necessarily set out to record an album from the get-go. So, yes, I would say we definitely accomplished our goals. Is there a meaning behind the album's title? Actually, the word 'Morning' in the title is a double entendre, for both 'morning' and 'mourning'. Most of these tunes speak with a hint of sadness or loss, but also with a significant amount of hope. No matter what punches life may throw your way or how rough it can be, there will always be the proverbial 'light at the end of the tunnel'. Q - You wrote the music with pianist Kevin Bales. Why do you think you collaborate well together? I did! I think we work well because we are honest and respectful with each other throughout the writing process. Neither one of us takes it personally if the other isn't feeling an idea the other puts on the table. We roll with what happens to come out and see if it goes anywhere. We really do care about the integrity of the message of the song, both melodically and lyrically. Q - I understand that you grew up listening to big band swing and jazz. Was it inevitable that you became a jazz singer? What do you try to bring to the genre? I'm not sure if it was inevitable, but listening to that music while growing up certainly planted the seed. I like all kinds of music, but singing that particular genre just really resonated with me and made me happy. What do you try to bring to the genre? Hmm…good question. I suppose what I bring to the genre might not be so unique in the grand scheme of things. I try to stay true to myself via my own experiences and perspective when writing or performing; however, I also allow myself to think outside the box. Hopefully, that comes through a bit in the music. Q - Who are your biggest musical influences and how do you think they have impacted your music? Personally, I would say my oldest brother Mike. He introduced me to a variety of jazz artists growing up (Chuck Mangione, Billie Holiday, etc), but also to appreciate good music…no matter the genre. I think this exposure to such a diverse range of artists and styles at a young age, definitely influences my writing, today. Musically, I absolutely love Shirley Horn and her use of space. Listening to her music continues to remind me that one doesn't need to play or sing every note in existence to get a point across. Sometimes less is definitely more. Also, when she sings, it's very conversational; like you're sitting across the table from her and she's telling you a story…her story. Q - What do you think of the Chicago jazz scene and how do you think you think you fit into the scene? I think the scene has changed a bit over the past 15 to 16 years, whether it's the number/types of places to perform or musically. When I first moved to town, back in 1999, it was about seeking out the cats who had been on the scene for quite some time and observing and learning from them. You still have that today, but I feel there is such an influx of really great young musicians performing in this town. I think I probably fit somewhere in the middle. I'm constantly learning from those who have paved the way, but I'm also hearing great ideas coming from those who are newer on the scene. Also, in my opinion, I feel the Chicago jazz scene is unique from a lot of other cities in that there is a sense of community and support among the musicians. On any given night, you may find a handful of vocalists out to hear another vocalist performing. The same is true for any other instrumentalist. It's a really cool thing. A somewhat obvious short-term goal would be to get the word out about the new album and hopefully folks will enjoy what they hear. Long-term, I would love to keep writing, in addition to performing more nationally and internationally. Most importantly, I want to enjoy what this life has to offer and continue to love what I'm doing. Chicago band The Orions is adding to the vibrancy of the local music scene through its unique sound. The Orions will perform March 29 at The Abbey, 3420 W. Grace St., Chicago. Friday Pilots Club, The Dead Seeds and Out the Car Window also are on the bill. 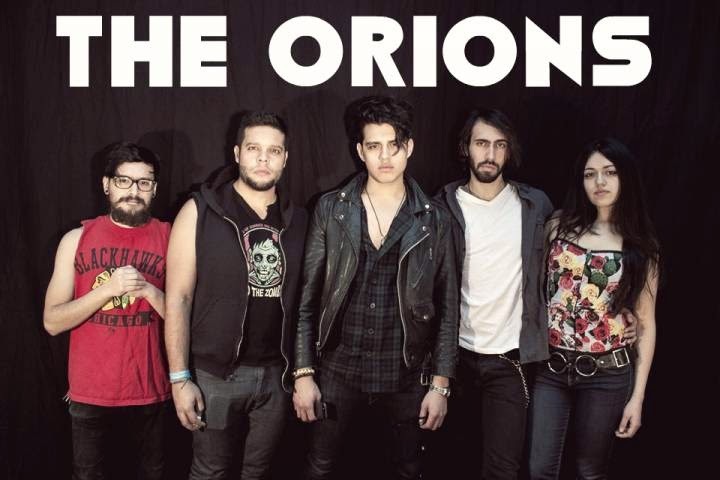 I had the chance to talk to Orions guitarist Yeyzy Varas, singer Federico Vargas, bassist Ahmed Forero and lead guitarist Phil Kubisz about the band. Q - Great talking to you. I understand that the band started as a trio, and has grown into a quintet. What is the musical chemistry like between the members? The musical chemistry has been amazing, Phil and Yeyzy quickly got the flow of our music and helped create two of our latest tracks “Just Like You” and “Goodtimes,” which were just recorded on March 21 and will be debuted March 29 at The Abbey Pub. 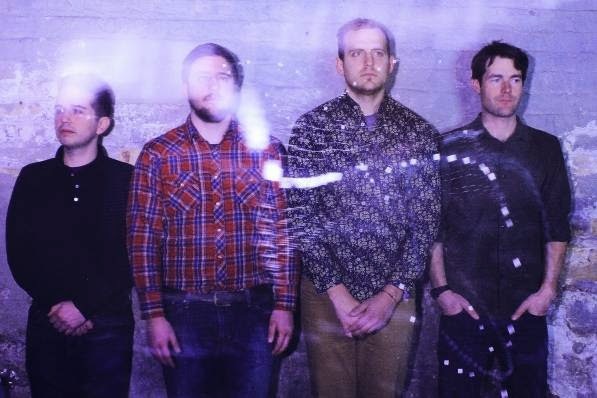 Q - The band released a self-titled EP in November. In sitting down to make the record, what were your goals and do you think you accomplished them? Our goals were to track down songs that we felt had potential and to finalize the lineup of the band. With both main goals we succeeded, and are strongly pushing into new content and gigging. Q - What is the meaning behind the band's name? Federico and Yeyzy’s mom is considered to be a bit of a mystic and does Tarot reading. A while back, the band was having trouble finalizing a band name, so their mother came to the band one day and told them that one of her cards had spoke to her. She said that the card told her that the band should be called The Orions. So we stuck with it. Q - To me, the band's sound is reminiscent of Chicago band Urge Overkill? Would you consider that band or other bands to be an influence on your music? That’s great, I can’t say Urge Overkill has been an influence, but yes some Chicago bands have contributed in the way we put together our sounds. Bands like Smashing Pumpkins, Rise Against, and more lately, The Orwells. Chicago’s music scene has a lot of more rock/indie/alternative going around and we feel are confidently stepping into the scene. The Chicago music scene has a lot of great bands such as The Orwells, Ay-OH, and Friday Pilots Club (with whom we’re playing with on March 29). We blend in well, but we still have our own unique sound. Short-term goals were to record an E.P. that we felt confident about and get the entire lineup on the same page with the music. Long-term goals are to build our fan following so that we may get the opportunity to go on tour, continue to innovate our sound, and reach a wider audience with our music. 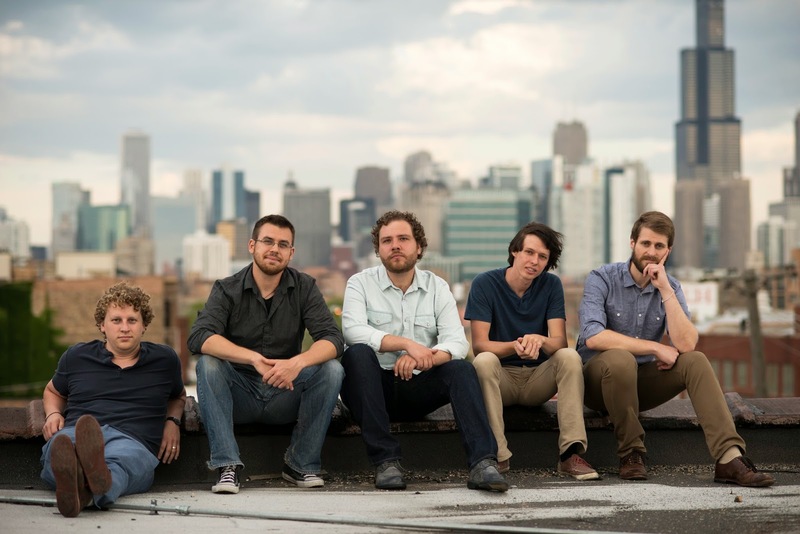 Channeling bands like Radiohead and Pink Floyd while at the same time creating a sound all their own, Chicago band Steve Leaf & The Ex-Pats continues to gain attention in the Chicago music scene. The band will perform March 28 at the Tonic Room, 2447 N. Halsted St., Chicago. Valentiger and Joshua Powell also are on the bill. The show starts at 8 p.m. and tickets are $8, available by going to www.tonicroom.ticketfly.com. I had the chance to talk to Leaf about the band. Q - Great talking to you. Last year, you guys released "Three Circles & A Speaker." In sitting down to make the album, what were your goals and do you think you accomplished them? In retrospect, that makes for an interesting question. At the time we started recording, we were a trio and we've since grown into a four piece, adding a keyboardist in May of 2014. That change has inevitably helped the sound to evolve and change. In recording "Three Circles & A Speaker," we wanted to capture the sound of the band at that time and I think we definitely accomplished that. In addition, I had just finished a stint living in Australia, and I was able to write a lot so we were able to capture those songs at a solid stage. Also, we recorded half in Chicago at Experimental Sound Studios and half in Kalamazoo at Double Phelix Studios, which was a blast. There are things I would have done differently but as I record more and more, that's the challenge, honing in on your skills and the process. It's like searching for Bigfoot. Q - I understand that all of you are originally from Michigan. How does the music scene there compare to the Chicago music scene? What made you want to move to Chicago? The scenes in both are robust and vibrant and still very different when compared to each other. Michigan has a very tight knit community of musicians and people willing to listen. Chicago is similar but the scene like the city is huge, so there is something for everybody. Hip hop, death metal, Americana, Chicago has it all. Michigan does too definitely, just on a smaller scale. We all moved here originally for our professions. There are a lot of Michiganders here in the city so if you want to feel nostalgic and talk about the Great Lakes state while sipping a Bell's Two Hearted, there's no shortage of great people! I've got two. Lincoln Hall is an incredible space. We love playing there, the sound is amazing, and the interaction with the crowd is so close. Probably my favorite spot to play and see a show. Second, I used to play guitar in another Chicago band, Go Long Mule, and we played Fitzgerald's all the time out in Berwyn. All the guys in Go Long Mule are from around Oak Park, so playing there is always a bit of a homecoming vibe. Doesn't hurt that its a great room and superlative sound. Bill and Kate have something real special out there. Q - The band's sound has been compared to such bands as Pink Floyd and Radiohead. Who do you consider the band's biggest influences and how do you think they have influenced your music? We love those bands, no question. They have had a huge influence on tons of bands of course and for good reason. Other bands in the sphere of influence would be Talking Heads, Neil Young, Ratatat, Sigur Ros, Damien Rice, and Wilco. I love the intersection between ambient music and Americana. That's my favorite sound, something like "Poor Places" by Wilco. Incredible lyrics, songwriting, and sound. And I love to draw from other musicians as well. The first time I heard the album "Takk" by Sigur Ros, I freaked out. I had one of those, "What the hell was that?" kind of reactions. We don't want to just copy those bands, but you can definitely hear their influences weaving in and out of the record. Q - How did the band form and what do you think each member brings to the table? Nick Young, Dan Haefs, and myself started jamming in the basement of my place when I was in Logan Square in the spring of 2012. We played for a while as a trio but we definitely needed something else in there. We then brought in keyboardist and synth player Joe Ridgway in the spring of 2014. Everyone brings something different. Dan is an engineer by day and brings that kind of precision and discipline to the drum kit. He is always in the pocket and keeps us in check rhythmically. Nick Young on the bass plays jazz in a few projects, so he brings that kind of spontaneity to the sound. Joe Ridgway is a bit of the professor, creating soundscapes with his keyboards and synthesizers. Lastly, I bring the songs, sometimes fully baked and others half baked. The band has gotten to a great place being able to flesh out the tunes after I bring in an idea. Q - What do you see as the band's short-term and long-term goals? We put out a record last year and we are proud of it and excited for more to hear it. We also recorded an EP in the winter and we'll be putting that out in the summer. Short term, that's a good question, we've got a rehearsal tonight so hopefully that goes well! We are more focused on the long term: recording and putting out good records! Prior to heading to the SXSW festival in Austin, Texas for three shows, Chicago band The Future Laureates will perform March 7 at Bottom Lounge, 1375 W. Lake St., Chicago, as part of a SXSW send-off party. Molehill, Vintage Blue and Steve Stone also are on the bill. The show starts at 7:30 p.m., and tickets are $10, available at www.ticketweb.com. I had the chance to talk to The Future Laureates frontman Danny Surico about the upcoming show. Q - Great talking to you again. You guys have previously played at SXSW. What did you learn from that experience and what do you hope to achieve at this year's festival? We've learned a lot. It seems every year we go down to Austin for SXSW, we learn a little bit more about the lay of the land and how to use our time most strategically. A big learning curve for us as an independent band has been realizing that there are maybe a handful of really quality relationships and conversations that are worth pursuing over the course of music week. So we've basically learned to network smarter, not harder. This year, I think we're hoping to finalize our team that we've been building over the past year. Q - Of course, the band recently released "Here and After," which you made with Grammy-nominated producer, Chris Grainger. How did you hook up with him and what do you think he brought to the table? We were introduced through a mutual friend and colleague. Chris is a fantastic producer. He works very efficiently as an engineer, but he also brings really strong musical ideas to the table as a producer. He was also very involved in pre-production, giving us guidance on our revisions of the songs in the early stages, so that when we got into the studio, we were really just executing on ideas we already knew were strong and that we had confidence from playing so much over the previous several months. Q - In sitting down to make "Here and After," what were your goals and do you think you accomplished them? How do you think the EP compares lyrically and musically to your past efforts? I think our goals were (and still are) to use the record as a launching pad to make the leap from a local, Chicago band to more of a regional or national act. I think the jury's still out on whether we've accomplished that just yet; but I can definitely look at what we've been building over the past year and can say with confidence that we've progressed quite a bit since recording and releasing "Here and After." Musically and lyrically, I think we are putting our stake in the ground as a band that writes sharp, melodic pop/rock/folk songs with a touch of soul; we also made more subtractive decisions with this record, which I think allows Matthew's voice and the lyrics to be at the forefront a bit more than on past records. Q - Is there a meaning behind the EP's name? Yes. We look at "Here and After" as an indication of where we are in the present, and acting as a turning point of where we hope to go as a band. So it's about staying grounded in the present with an eye toward continuing to grow in our craft and reach our potential as artists. Q - What do you think of the Chicago music scene and how do you think the band fits into it? Do you have any favorite venues to play in Chicago? I think the Chicago music scene has served for us what perhaps A&R people at record labels did for their artists decades ago, when labels had more money to spend on developing talent. I really think we have come of age in Chicago and in a vibrant and friendly scene in the realms of folk, rock, pop, and Americana. We have played shows and shared resources and learned an astonishing amount from Chicago-based musicians who have really taken the time to mentor us and help us. I think we are at an interesting place in our career where we are starting to branch out more outside of Chicago - places like Nashville, New York, and Los Angeles. We are starting to tour for longer periods of time and build up markets and connect with fans outside of Chicago. So it's almost like we've got one foot in and one foot out of the Chicago scene. I think Lincoln Hall, Martyrs', House of Blues, and Metro are among our favorite venues we've been lucky enough to play in Chicago. Q - The band has lent its music for different causes in the past, such as performing at a benefit show for the StreetWise organization, which helps Chicago's homeless population. Does the band feel the need to give back? Yes. It's something personally I think we have not put as much of a focus on in recent years, but it is always something that stays on my mind as a goal for our band. Using music as a vehicle to serve is something I'd like to put renewed focus and energy back into over the coming few years. Q - Does the band have any dream projects or collaborations? I'd also love to have the opportunity to co-write with other artists in the future. I think that is something I have more of an openness to and eagerness toward than I did in my early 20s. A large part of that is a confidence that comes from experience. I've written hundreds of songs, so I feel like as I've continued to write, I've also improved in my craft.